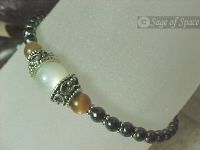 7 Chakra Bracelets Sterling Silver 925 with OM Charm. 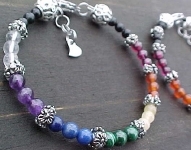 Third Eye Chakra, Crown Chakra & Heart Chakra Bracelets made by an Energy Psychic. 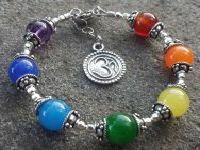 7 Chakra Bracelets in Sterling Silver 925 with OM Charm! 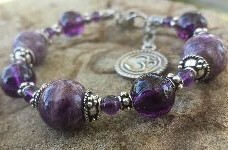 Third Eye Chakra, Crown Chakra & Heart Chakra Bracelets made by an Energy Psychic! 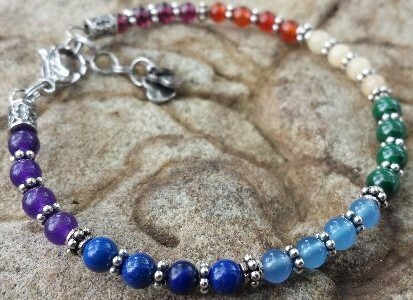 Seven Chakra gemstones in candy colors! 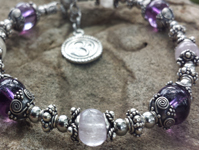 Crown Chakra Bracelet OM Charm in Sterling Silver 925 and Clear Quartz Crystal. 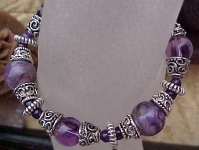 in Charoite and Amethyst Quartz Crystal. 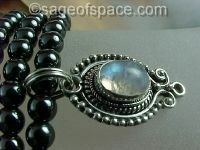 Charoite is strong medicine for the Anja Third Eye Chakra. 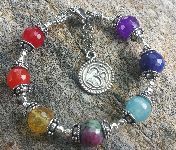 7 Chakra Bracelets in Sterling Silver 925 with OM Charm. 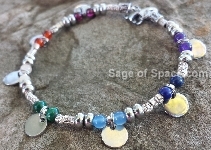 Third Eye Chakra, Crown Chakra & Heart Chakra Bracelets made by an Energy Psychic. HYPOALLERGENIC Artisan Bracelets made with TOUGH Stainless Steel parts; BUILT TO LAST! They can be bent to fit your wrist! 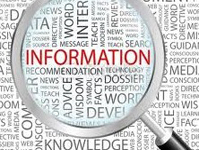 Info on the chakras, chakra activation, chakra knowledge by an Energy Psychic who experiences them - click here.